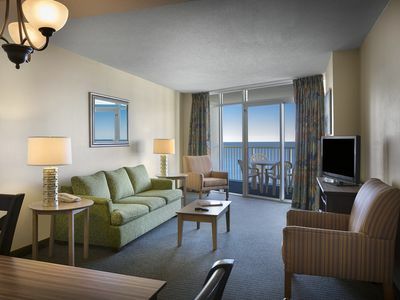 Escape to the Horizon at 77th – a tranquil resort on Ocean Boulevard nestled amidst the soft sands of Myrtle Beach. 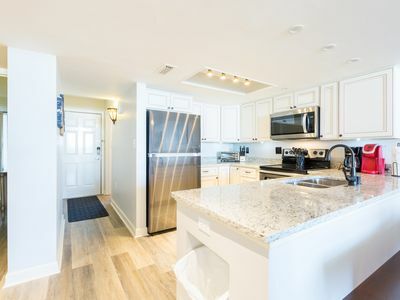 Peaceful, affordable and always family friendly, we combine the comforts of home with the convenience of a fully equipped condominium. 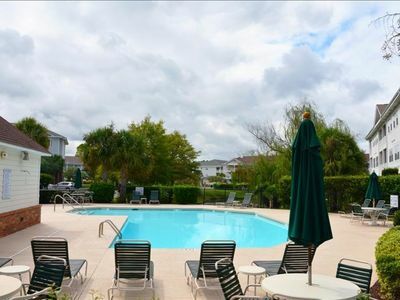 Float along the lazy river or lounge on the sundeck and enjoy the warm rays of the South Carolina sun – just a few of the amenities that await guests at our resort. 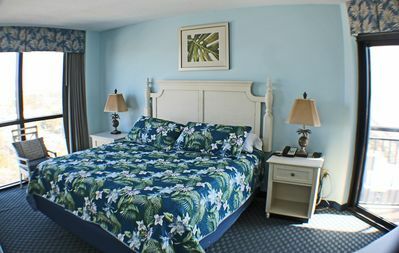 A hot tub, indoor and outdoor pools and a modern fitness center are also located right at the resort. Host inspiring conferences or a quaint wedding in our 1,300-square-foot meeting space. 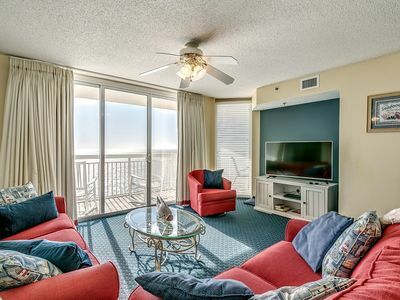 Visit the Horizon at 77th Hotel on Ocean Boulevard in Myrtle Beach and discover how affordable a luxury family beach vacation can be. 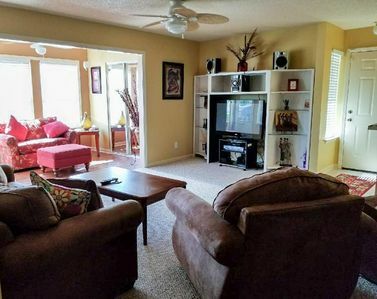 We guarantee your first stay won't be your last. 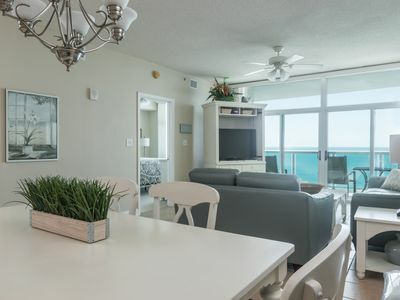 The comfort of home blended with the elegance of a seaside hotel – it’s a unique combination you’ll only find at the Horizon at 77th. 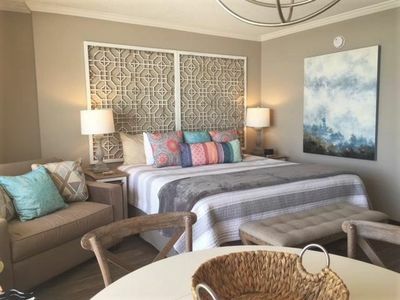 Enjoy all the luxury amenities you would expect at a fine resort, such as granite countertops, designer furnishings and breathtaking views of the shimmering Atlantic Ocean. 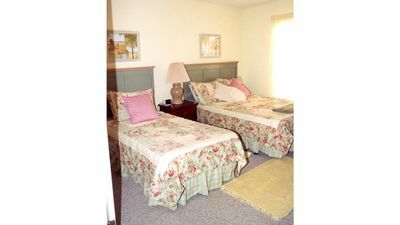 But beneath it all, we still manage to foster a sense of warmth that makes our accommodations so welcoming. 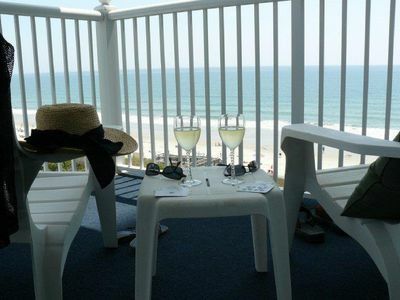 Guests don’t have to leave the resort to have a great time. 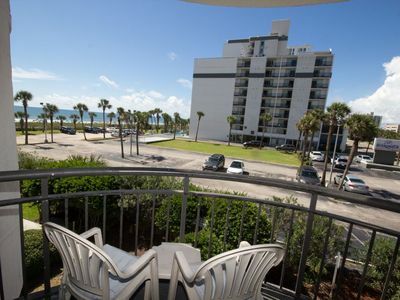 The Horizon at 77th offers an array of amenities that will impress even the most seasoned traveler. 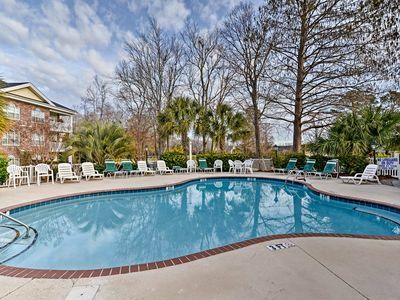 Bask in the warm South Carolina sun while floating down the lazy river or melt away stress with a soak in the hot tub. Kids always have a blast playing in our elevated water recreation plaza, which overlooks the stunning coastline of Myrtle Beach. Feeling sluggish? Recharge with an energizing workout at our fitness center. Your honeymoon starts immediately when you host an elegant wedding at Horizon at 77th. 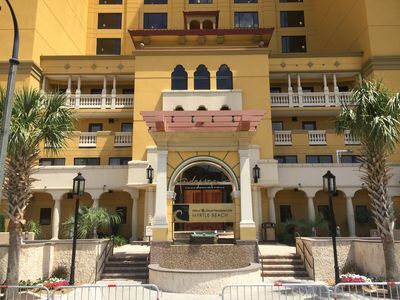 With 1,300 square feet of meeting space, we’re also the ideal location for conferences and other special events. 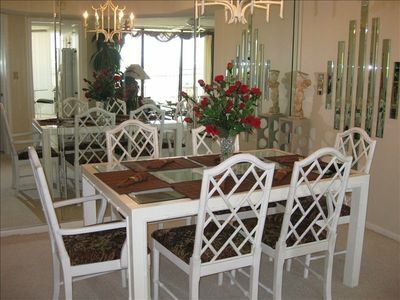 Enjoy a fun and casual atmosphere next door at the Shoreline Café, where guests can start their day with a sumptuous breakfast buffet and then dine on enticing steak and seafood creations later in the evening. 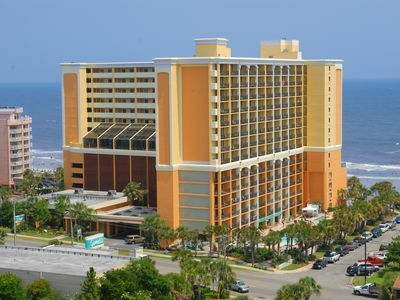 We offer a wide selection of other resort amenities designed to ensure you get the most out of your Myrtle Beach vacation. Newly Renovated SeaWatch! 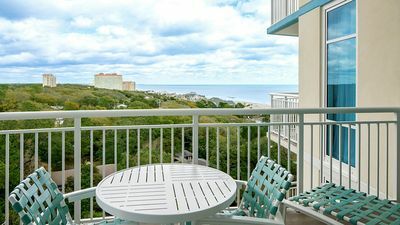 Oceanfront 2BR/2BA-Corner w/Wrap-Balcony! 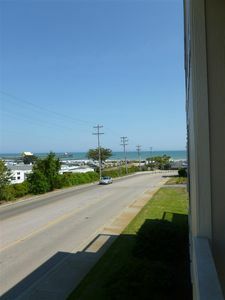 Luxury Oceanfront Condo with Reduced Rates! 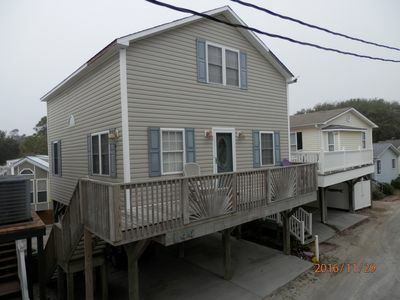 Newly Renovated - Well Maintained 1BR/1BA Condo Just Steps From The Beach! 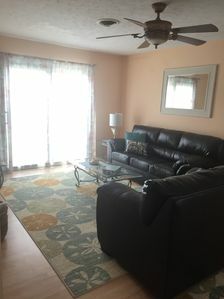 Cozy Myrtle Beach Condo on Golf Course w/Pool! 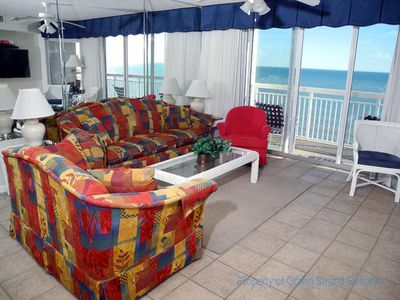 Laguna Keyes - PH 7 Gorgeous 3 bedroom condo with a full ocean view! 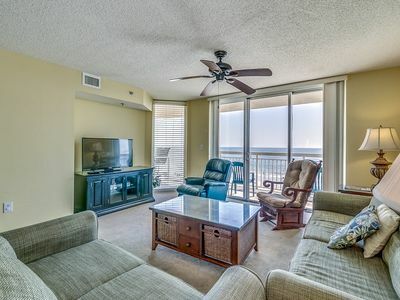 Crescent Shores 1711, 3 Bedroom Beachfront Condo, Hot Tub and Free Wi-Fi!